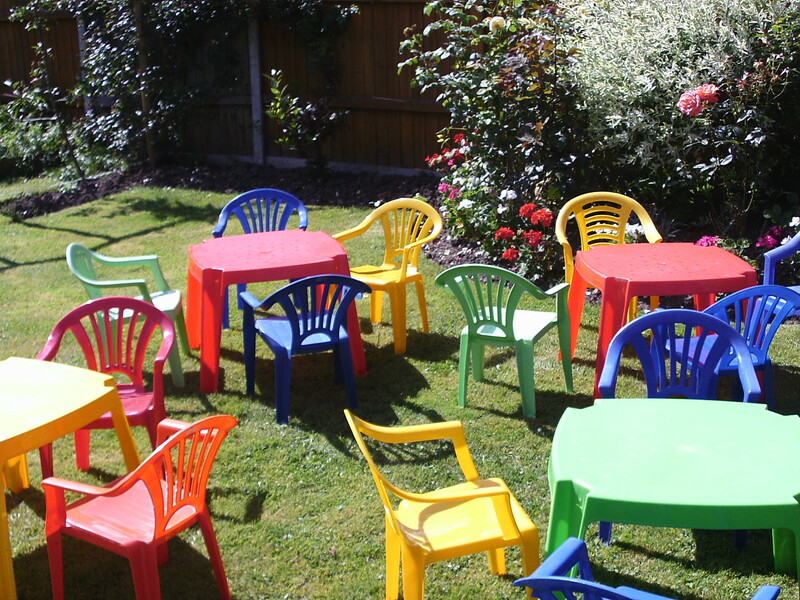 Plastic garden tables and chairs suitable for under 5’s only. Ideal for extra seating and providing ‘order’ at the party. Supplied in multiples of four chairs with plastic table. Colours and style will vary slightly on larger orders.